We work at the Ohio State School for the Blind right across the street from El Conquistador and we LOVE it!!! We are there at least twice a week and many of our co-workers are frequent visitors too. 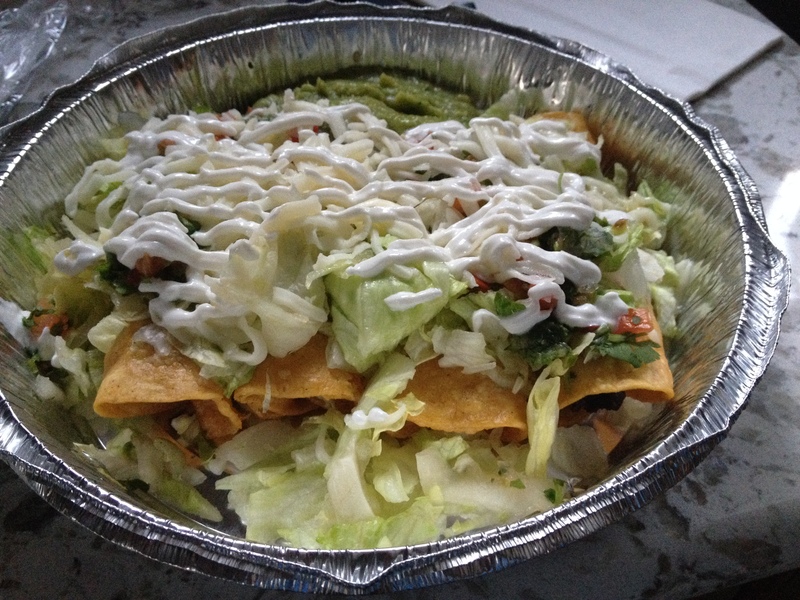 I always have the chicken quesidilla…juicy chicken, a lot of cheese, fresh veggies and the guacamole has just the right amount of kick. AWESOME!!! The gentlemen that operates the truck is professional, friendly and good looking too! Same owner, different menu and cook. Still good. Does anyone know where they went since they are not at the Blue Pickle now?? 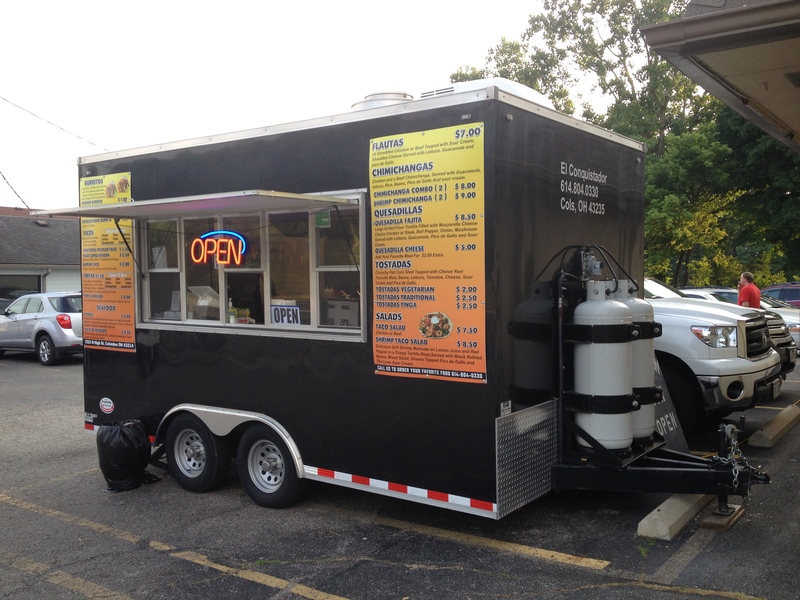 BEST TACO TRUCK EVER!! Literally, THE ONLY reason we went to that bar!! Where is this place NOW???? My favorite place ever, food is always good and reasonable prices. Sold trailer! No more Conquistador. Sorry. 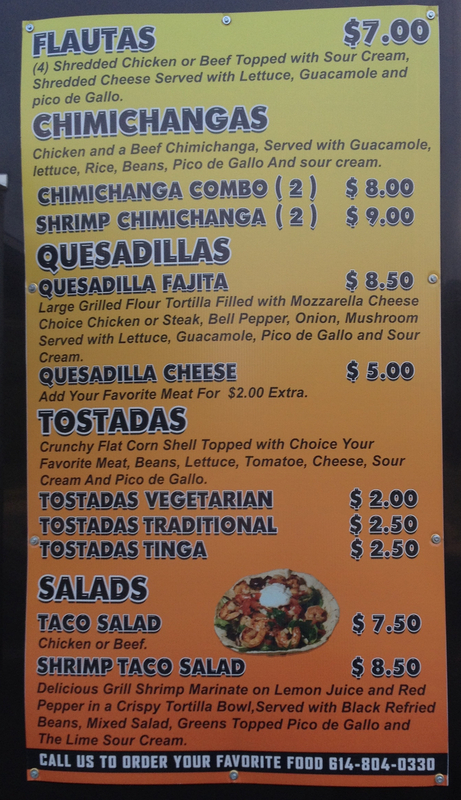 Trailer is still local and rebadged as Empanadas and More. Will be very good. Should be in Franklinton June 5th at a bike event.